Begining in 1937, conversions of four merchant ships, requisitioned from their owners by the IJN, were carried out at Kawasaki's Kobe shipyard. These were the KAMIKAWA, KIMIKAWA, KIYOKAWA and KUNIKAWA MARUs. 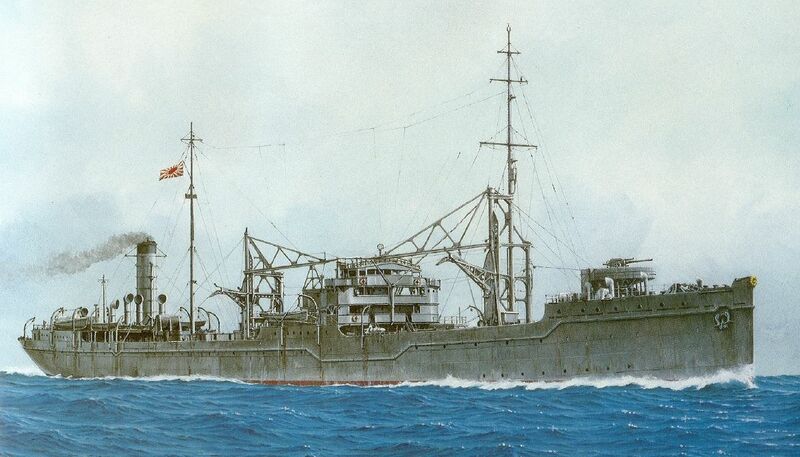 The KAMIKAWA MARU remained a seaplane carrier until her loss in 1943, while the KIYOKAWA, KIMIKAWA and KUNIKAWA MARUs were rerated as transports in 1943. Propulsion: 1 Kawasaki-M. A. N. diesel, 1 shaft, 7, 600 shp. Conversion: Aft well deck fitted with two 56' catapults, cranes fitted to recover aircraft. Aircraft: 12 seaplanes: four Type 94 Kawanishi E7K2 “Alf” and eight Type 95 Nakajima E8N1 “Dave” reconnaissance floatplanes. (24 aircraft maximum as cargo).